There are many accidents that might cause dental damage, and it is important to take fast action if something occurs that impacts your dental health. If something happens that damages your teeth and gums, the physical and emotional issues can continue throughout the rest of your life if you don’t seek the right treatment. Here at Simply Teeth, we have a highly qualified emergency dentist in our office: Dr. Dhaval Patel. How do you determine if the situation requires emergency dental services? If there is ever a concern about your dental health, we encourage you to call our dental office right away and our friendly staff can talk with you to determine if you need to come in. Fast treatment is essential if you want to save the tooth and prevent additional damage, so we encourage you to call our office immediately and we will fit you into our schedule. 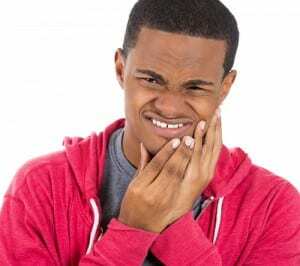 When you are experiencing any type of pain or discomfort in your mouth, the best thing that you can do is schedule an appointment for emergency dental care. Even if it is outside of regular office hours, there is no reason for you to wait to make the phone call. Many types of emergency dental services are time sensitive, which means that you won’t get the full benefits of the treatment unless you visit the dentist quickly. For example, if a tooth has been knocked out, then there is a possibility of saving the tooth if treatment is administered as quickly as possible. But, if you wait for a day, then you will lose the opportunity to save the tooth. At Simply Teeth, we understand that fast dental service is essential in emergency situations, so we will fit you into the schedule as soon as possible. A same day dental appointment is often available for emergency situations, allowing us the opportunity to choose the right dental treatments to restore your smile. For more information about what you should do if a dental emergency happens, we invite you to contact our office as soon as possible. We will help you maintain good dental health and a beautiful smile.